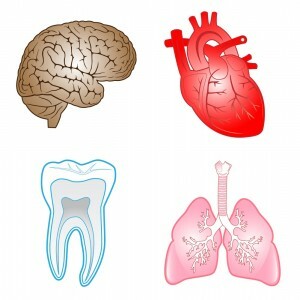 Do you think of your smile as a separate from your overall health? It’s easy to do, but in reality, what happens in one part of your body can affect what happens in another. That’s even the case with hormone changes. When hormone levels rise and fall, that increases one’s vulnerability to a condition like gum disease. Women are particularly at risk because of hormonal changes throughout their life. Three of the most obvious cases are puberty, pregnancy, and menopause. During these times, thorough at-home care and regular visits with Robison Dental Group are important. But these aren’t the only times in life when hormonal changes can impact a woman’s oral health. Women taking birth control medication may find themselves at greater risk, while the menstrual cycle also contributes. Taken together, this means that our Canton patients need to be especially vigilant about the health of their gums. It’s also important to let us know if you’re pregnant or taking birth control, since those can increase your vulnerability for gum disease. To keep your smile at its healthiest, brush at least twice a day and floss at least once. We also recommend adding an antibacterial mouthwash to your regimen. Seeing Dr. Robison twice a year is also important, as is keeping to a balanced diet. Has it been more than six months since your last dental visit? Call Robison Dental Group in Canton, MI to schedule your appointment. We provide general, cosmetic, and restorative care to patients from Canton, Ann Arbor, Northville, Westland, Plymouth, and beyond.